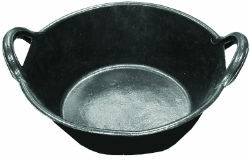 General purpose pan. Made of safe, soft rubber. Features reinforced rim and handles for easy carrying.